NDA passing out parade was held on the morning of 30 Nov 2018 for NDA 135 course, 253 cadets graduated from the National Defence Academy at Khadakwasla in Pune to join IMA, AFA and NA for their basic military training. Also, eight cadets from friendly foreign countries were also awarded degrees at the convocation ceremony held at the academy. 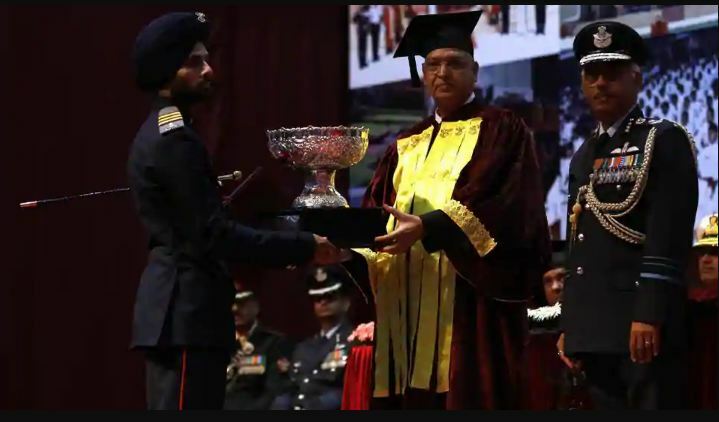 NDA cadets were conferred the degrees from the Jawarhalal Nehru University that included 146 cadets from computer science department, 48 cadets from science and 59 cadets from arts. Like always, NDA has produced many brave young warriors who will defend the national frontier very soon. Let’s look at the journey of three NDA academy toppers which will surely motivate the young aspirants who are looking forward to joining the National Defence Academy. Academy Cadet Captain Jaipreet Singh won the ‘Chief of Army Staff Trophy’ presented by General K Sundarji for standing first in science stream. Academy cadet Captain Jaipreet Singh, who hails from Batala tehsil in Punjab, had cracked JEE Advanced, which effectively grants him an entry into the IITs. He, however, had a dream of joining the armed forces. 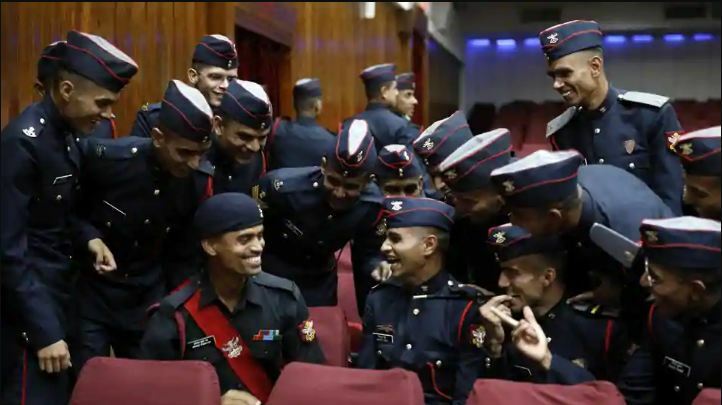 “I will be the first in the family to be commissioned as an officer in the Indian Air Force (IAF),” said Jaipreet, who wants to join the fighter stream of IAF. CQMS Risabh Gupta got the ‘Chief of Naval Staff Trophy’ presented by Admiral Sureesh Mehta, for standing first in BSc (computer science). Becoming a pilot was a childhood dream, said cadet Rishabh, who cleared the NDA entrance exam in the third attempt. “By the time I cleared the entrance, I had wasted almost one and half years, but I never gave up. Today, I am satisfied with my decision,” said Risabh, who will be the first-generation officer in his family after completing one-year advanced training at the Air Force Academy in Hyderabad. Cadet Ganesh bagged the ‘Chief of Air Staff Trophy’ presented by Air Chief Marshal NC Suri, for standing first in social science stream. It was a special moment for November Squadron cadet captain Ganesh as he accomplished his father’s dream of joining the army. “My father wanted to study in Sainik School Korukonda in Andhra Pradesh but he could not clear the entrance exam. Today, I have fulfilled his dream,” Ganesh told TOI.